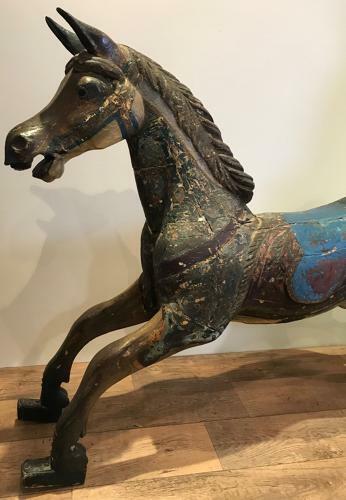 A very rare antique 19th century fairground Galloper Carousel Horse by G & J Lines. circa 1880. In nice original condition with original paint, traces of gold leaf. It was turned into a rocking horse in later life.